Blayde Hollister (Gary Cooper), an ex-Confederate from Georgia, had to settle some injustices. Now, he is in trouble with the law. Posing as a Boston dandy, he comes to the boom town wanting to smoke out the notorious Marlow brothers, then give them a whiff of gunsmoke. These brothers were responsible for the burning of the Hollister's family home during the war. Architect Howard Roark (Gary Cooper) will sacrifice everything - the woman he loves or the project he dynamites when others interfere with his design - to maintain his individuality. Patricia Neal plays the troubled beauty whose desire for him almost destroys her. Torn between religious pacifism and patriotism, Alvin York of Tennessee went on to become World War I's most acclaimed hero. He was a simple backwoods farm boy who captured 132 German soldiers during the Battle of Argonne. The film tells of a religious man's moral crisis, heroics and subsequent return to the rural life he loved, refusing to capitalize on the adulation heaped upon him. 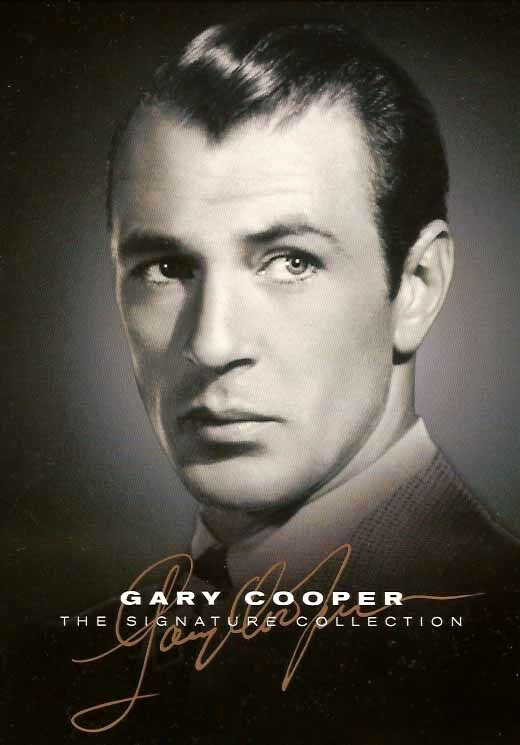 Gary Cooper won his first Best Actor Academy Award. The film was nominated for 11 Oscars including Best Picture and it was a winner for Best Film Editing. Gary Cooper, Phyllis Thaxter, David Brian, Paul Kelly, Lon Chaney, Philip Carey, James Millican, Guinn "Big Boy" Williams, Alan Hale, Jr.
Gary Cooper plays Lex Kearny, a U.S. Army major posing as a Confederate sympathizer. Kearny's ruse unmasks rustlers of Union horses, even though his true allegiance is revealed. Ultimately, the major and his troops are outmanned and outgunned. But with the experimental weapon that makes one man the equal of five, they won't be outfought! The freighter Mary Deare is adrift in stormy seas. Her bulkhead is leaking, her captain is dead and the crew has abandoned ship - all except for one man. That man is exhausted first officer Gideon Patch, who has taken command. Appearances indicate he's a madman. But Patch isn't a man who relies on appearances.